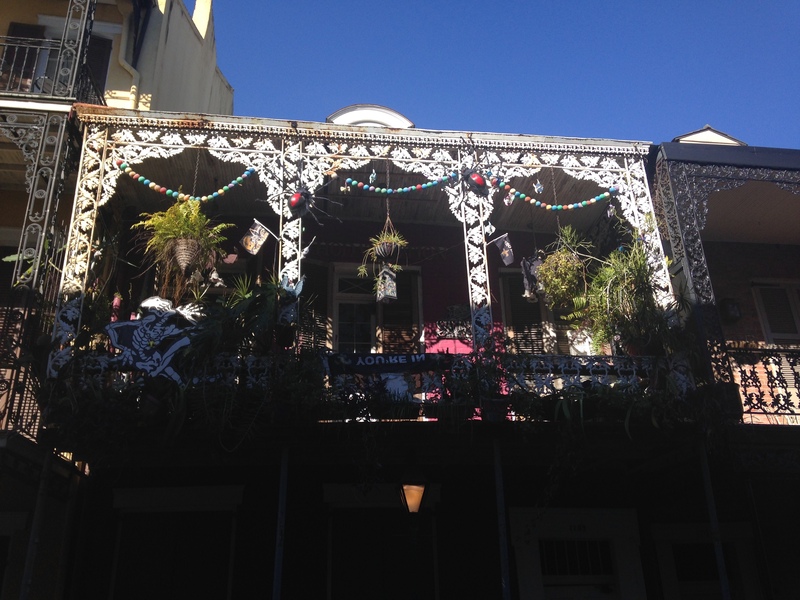 Over the winter holidays, my family and I headed down to New Orleans to escape the cold. While it wasn’t terribly warm there, it was incredible to see sunlight in December. It’s weird in New York how you almost forget that sunlight exists. First on the agenda was going to all of the sets for American Horror Story: Coven that we could find. 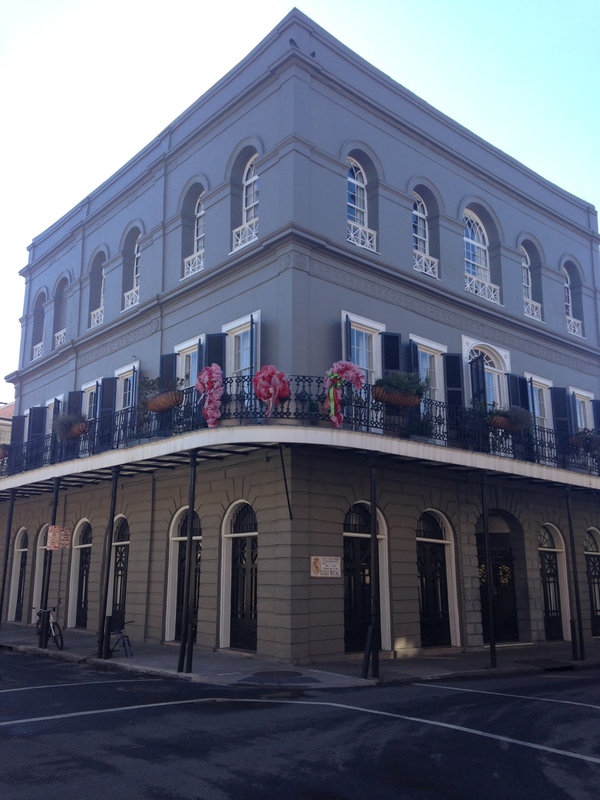 You might recognize the above from the LaLaurie Mansion scenes, although it was not used for the exterior shots. 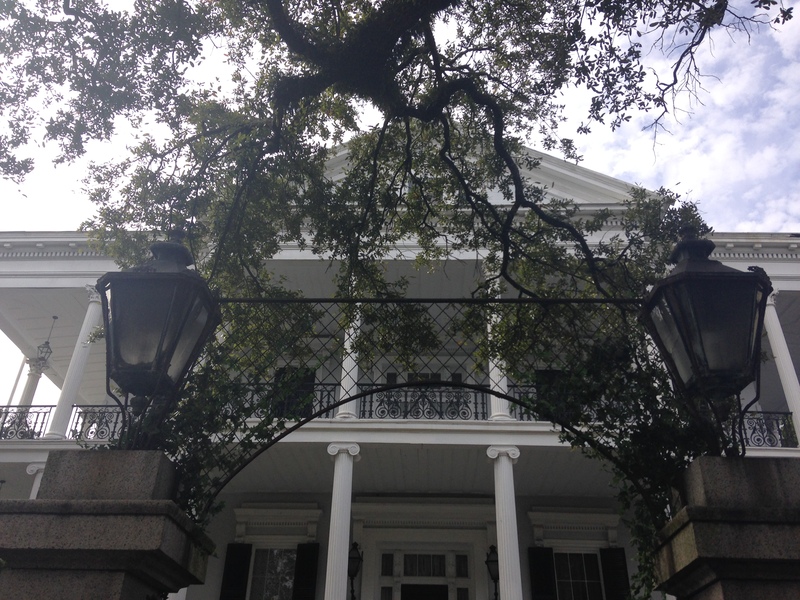 It is impressive, imposing house even compared to other stately homes in the French Quarter. And, of course, aside from being owned by Nicholas Cage, it has a very dark history. Although not a set from American Horror story, I thought this balcony was impressive. In addition to the beautiful iron work, you also have the great plants and Christmas decor. I found it really difficult to get the light quite right on the shots looking up at the balconies. It is a bit eerie to walk through the French Quarter right before Christmas Eve, there are very few tourists and the streets are quiet. Selling points for apartments and condos: Does it have a balcony? Is it haunted? 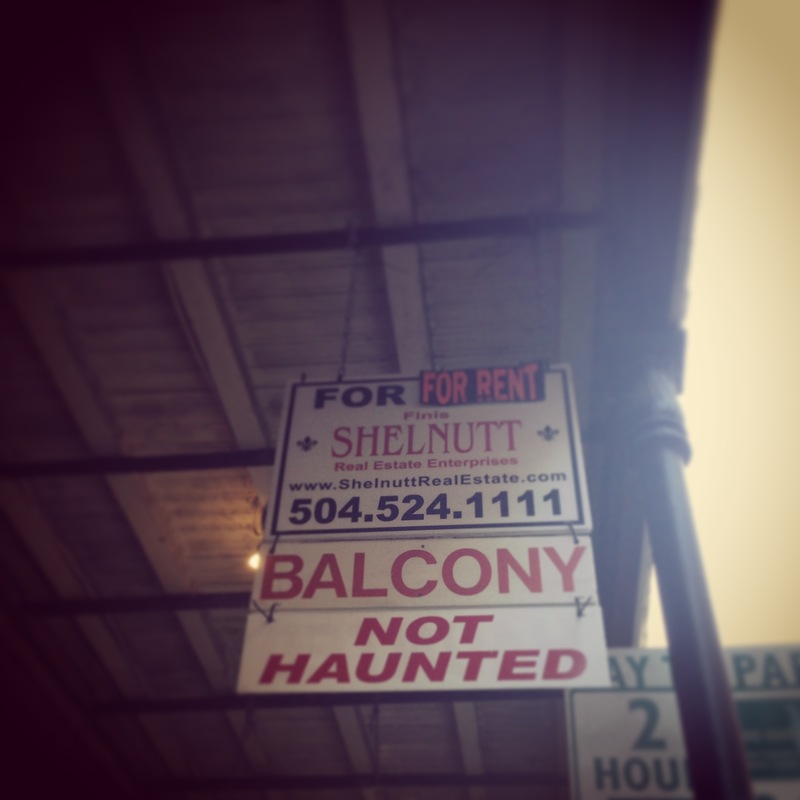 I did actually see signs advertising for haunted rentals. Not sure if they were cheaper or not. Out of the French Quarter and into the Garden District. This house (the picture doesn’t even come close to doing the scale justice) is the Buckner Mansion, which was used as Miss Robicheaux’s Academy in American Horror Story. It is truly the epitome of the sprawling mansion, stretching back the entire block. For $20,000 you too can rent it. 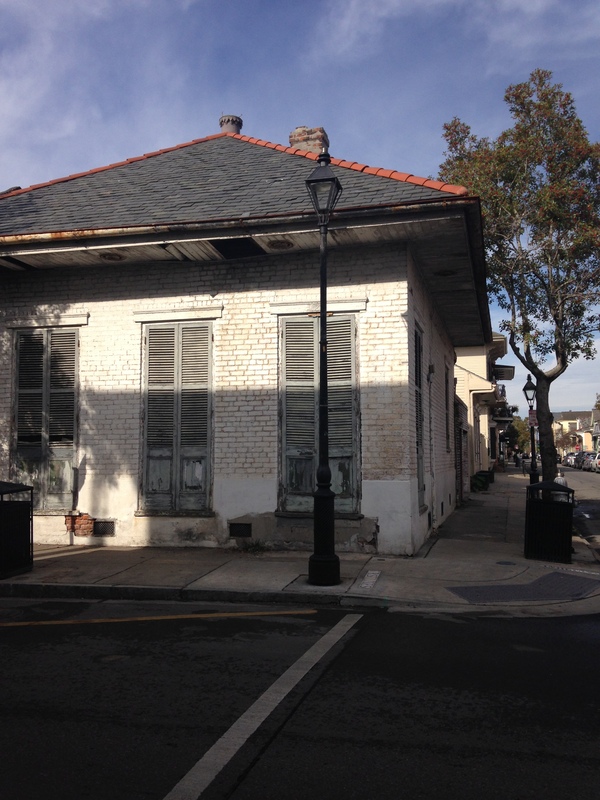 A bit off the tourist path is the Marigny neighborhood. It has a really fascinating history as the homes were originally built for Creole gentlemen to to provide housing for their mistresses and offspring. Later the neighborhood became very impoverished and crime-ridden. But, today, it is a very popular neighborhood for students with affordable apartments and a plethora of coffee shops and restaurants. This shotgun style home is often found around New Orleans. 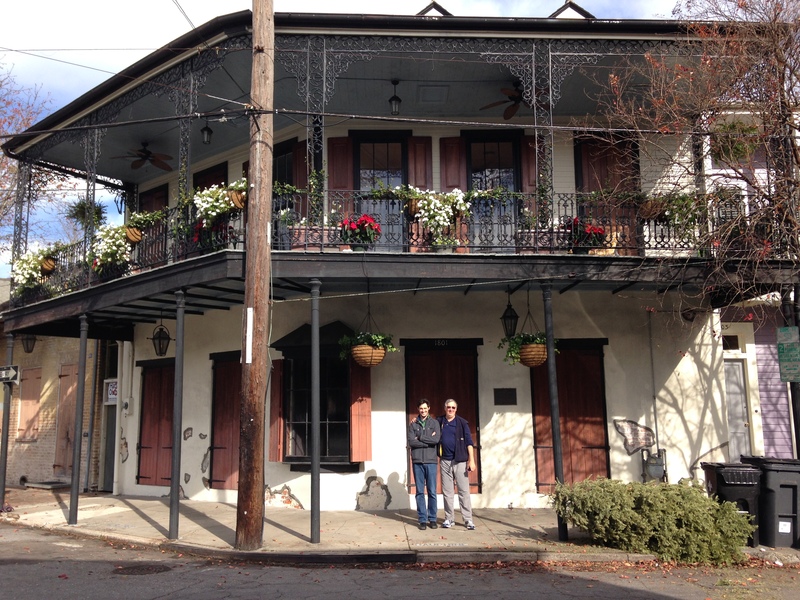 The last of the New Orleans exterior shots, my dad and brother in front of a historical landmark home.